A mecca for bird watchers and photographers, Bolivar Flats is one of the best locations in SE Texas for shorebirds. 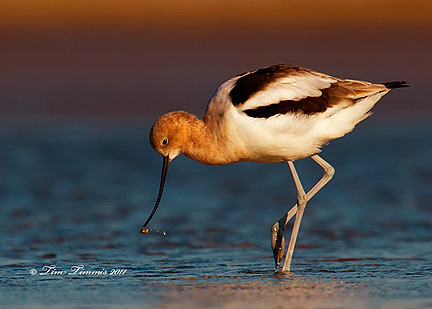 Located on the south side of the Bolivar Peninsula, just east of the north jetty, it’s an Audubon Society Bird Sanctuary that has an abundant and constant supply of shorebirds. The salt marshes, mud flats and beach attracts hundreds of thousands of birds each year. The area was formed after the 5 mile long north jetty was constructed by the Army Corp of Engineers in 1898 to help protect the ship channel. Sand and silt settled out on the east side of the jetty which forms an ideal environment for shore birds as the water is very shallow and allows the birds to feed in a very large area. 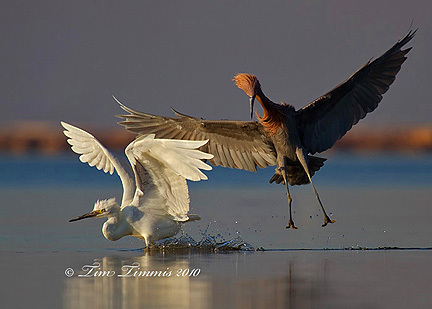 If you want to see American Avocets, Reddish Egrets, Pelicans, Willets, Long Billed Curlews, Marbled Godwits, Great Blue Herons, Sanderlings, Snowy Egrets, etc. this is the place for you. Bolivar is also a great place to see raptors as well. There is a Peregrine Falcon that hangs out near the beach and Northern Harriers are also abundant. Bolivar can be deceiving unless you get there at low tide. At high tide, it looks like any other remote beach area with a few shorebirds near the beach. Most of the birds head inland or are near the jetty when the tide is up. At low tide, Bolivar Flats transforms into a magical place when several rows of sand bars are revealed with the shorebirds feeding in between them. This is the best time for photography, especially if you like to get down and dirty with a ground pod. I used to take pictures at Bolivar standing up with my tripod until I learned how much better my pictures looked when I got down to the birds level. While taking pictures of Willets back in March 2009, my photos looked somewhat boring so I decided to lay down in the sand to get a different perspective and I haven’t used my tripod at Bolivar since. You get a very dramatic depth of field while lying down and the backgrounds are greatly improved. Another major benefit of lying down is that the birds don’t recognize you as a person and will get very close to you. 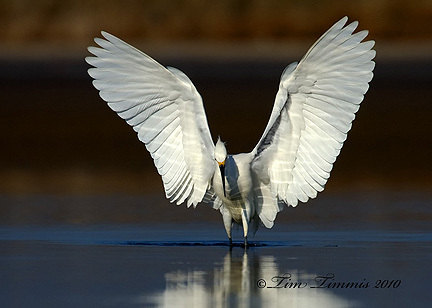 The bird photos that you get are much more intimate than photos taken from the standing position. Give it a try sometime. You will like the results. For my low level shots, I use a Skimmer ground pod that looks somewhat like a Frisbee that my ballhead/gimbal mount attach to. You can find a place to lie down near where the birds are feeding and they will come right up to you. I can lie on my stomach for a couple of hours taking photos before my neck and back get too stiff. One of the challenges with this type of photography is dealing with the sand and salt water on your body and your camera equipment. It can be literally a pain in the neck but it’s worth it. Bolivar is also a great place to see birds in flight. There always seems to be a supply of flight shots, especially in the mornings when they are very active. One unique way to get close to them in the morning is to wade out into the Gulf near their flight paths and wait for them to fly by. I do this in the winter months while wearing neoprene waders, which keep me warm and dry. You can wade out over one hundred yards off shore and the water is only waist deep, which is why Bolivar is also a very popular spot for wade fishing. Just be careful wading on the west side of the beach going towards the jetty. It’s easy to get stuck in the mud going in that direction, which is not a good thing if you are carrying camera equipment. Along with birds, the sunrises can also be spectacular at Bolivar. My typical trip gets me there before sunrise on the 6:00 a.m. ferry, shooting silhouette shots in the pre-dawn hour and then catching the sun coming up before settling in for some early morning golden light shots of the birds. 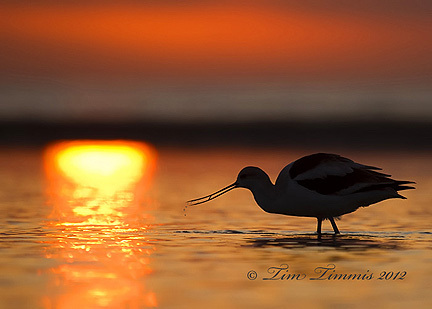 It’s my favorite place for shorebird photography. Be sure to check out “the Flats”. Content copyright George L. Hosek. The articles, photographs and videos on this site are for viewing on your computer only, absolutely, no commercial or personal reproduction without written consent from George Hosek.